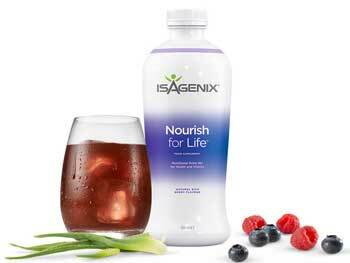 Isagenix Nourish for Life - Buy Direct from the UK! Isagenix Nourish for Life £ £27.00In stock! Order now! Discover the many benefits of nutritional cleansing with Isagenix Nourish for Life. A staple of any Isagenix program, Nourish for Life (known as Cleanse for Life in other Isagenix markets) assists your body in removing toxins and impurities, while providing nourishment through the use of vital nutrients, vitamins, minerals, and antioxidant botanicals. It makes cleansing as easy as 1-2-3. How Much is Nourish for Life? You can buy Isagenix Nourish for Life in the following ways. Click the ‘Buy Now’ button on this page and you can select your purchasing option during checkout. Prices are for 1 x individual 946ml bottle. 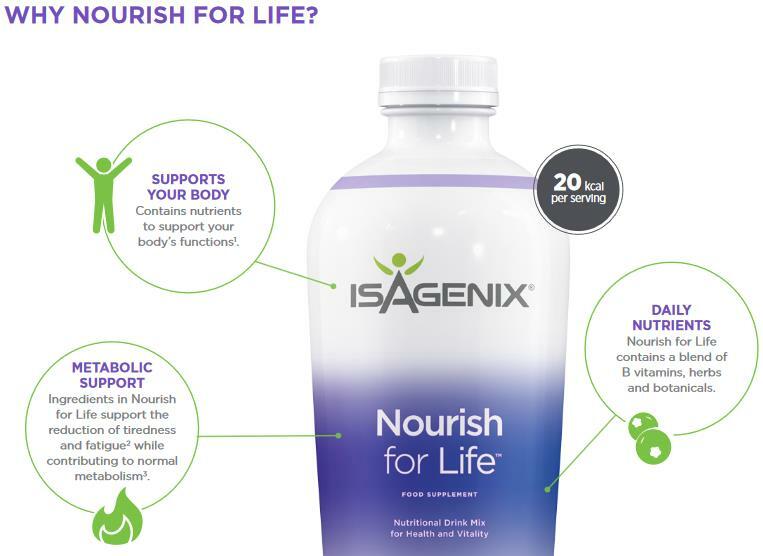 Designed to be used alongside other Isagenix products as part of a comprehensive nutritional cleansing program, Nourish for Life is a gentle, all-natural tonic specially formulated to support detoxification and replenish your body with vital nutrients and antioxidants. A body in balance is a healthy body. This popular product contains nutrients, vitamins, and minerals found in ancient Chinese and Ayurvedic remedies that have been used for centuries to bring bodies back into balance and promote overall health. Whether you’re feeling sluggish and suffering from brain fog, have a fondness for processed foods, or finally want to embrace nutritional cleansing with open arms, Isagenix Nourish/Cleanse for Life is a supplement designed to suit every lifestyle. Pesticides, processed foods, additives, and environmental toxins surround us each and every day, but this must-have nutritional supplement combats these toxins in a gentle, safe, and effective way. Do yourself a favour and begin benefiting from nutritional cleansing! What Ingredients are in Nourish for Life? This amazing product is specially formulated to provide your body with a bevy of health benefits. In addition to helping rid your body of years of cumulative damage caused from the environmental toxins surrounding us each and every day, the powerful tonic also helps combat oxidation and ageing. Proven to help support cognitive function, digestive health, and your body’s ability to deal with stress as well, Nourish for Life just about does it all. 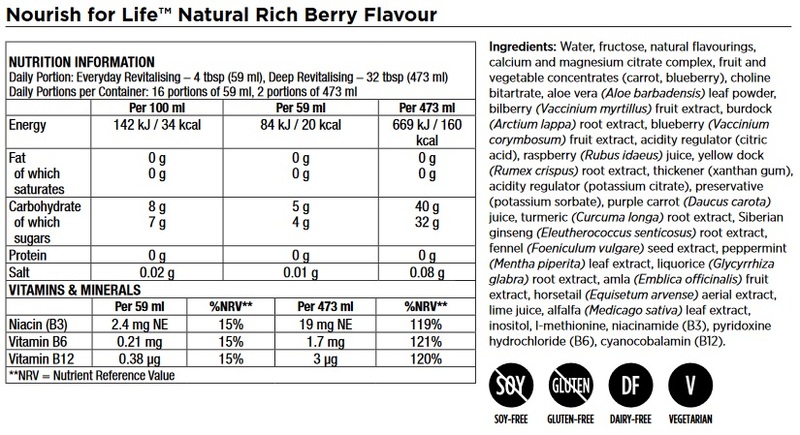 A full list of ingredients is below, or you can download the PDF version here. Your use of this product depends upon whether or not your cleansing every day as part of the Isagenix cleansing program or simply performing a deep cleanse. If you’re cleansing every day, which is recommended for weight management and better overall health, use 30-59 ml (mixed with water) up to twice daily. If you’ve never cleansed before and are using Nourish for Life for the first time, then a deep cleanse is recommended in order to jump-start detoxification and remove toxin buildup from your body. When performing a deep cleanse, use 100ml with 120-240 ml of cold water four times daily (for up to two consecutive days). Weight Loss Premium Pack – Highly recommended if you are trying to lose over 10kg. 30 Day Weight Loss System – Popular for customers trying to lose 5-10kg. Read Isagenix Nourish for Life reviews from real Isagenix UK customers! This makes me feel and look more positive. I never really understood the benefit to nutritional cleansing until I started using Isagenix products, I now feel more refreshed than ever.